What is the best garage heater? Electric ones are safer than propane-powered options, which is important since garages are often used to store flammable liquids and materials there. If your garage is not large-sized, an infrared model would be a wise choice. How powerful should it be? A 1500-watt heater will be great for a small-sized garage while a medium-sized one will require over 2500 watts. We believe that Dr. Infrared Heater meets all these criteria. Why have we chosen it? This is a powerful 5600-watt device that can efficiently warm not just a garage but also basements, construction sites, and industrial spaces. With a weight of just 20 pounds, the heater is portable and does not occupy much space. The product comes with an adjustable built-in thermostat and a fan providing continuous warmth. There are two types of garages. The first one is an integral part of a heated house and so it’s warm in there and comfortable to be in. You can chill with your friends there, fix your car, make a shop or install drums there. The other is separated from your residence and is very cold. Extremely cold, I’d say. To be precise, it’s cool in summer, and in winter… it’s SO cold, that you want to warm up your frozen car with electric car heater , leave, shut the garage and never come back… at least until the evening. Does that sound familiar? And what if you spend too much time in the garage in the winter as you repair your car yourself? A garage heater will become a real salvation. What is the best type of garage heater? What garage heater should I choose? How do I calculate a garage heater’s thermal output? 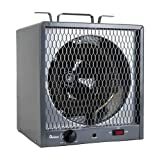 Dyna-Glo RMC-FA60DGD 30,000 - 60,000 BTU Liquid Propane Forced Air Heater- Heats Up To 1350 Sq Ft. Fan forced air heaters and infrared radiant heaters are the most popular garage heater. Both are powered by both electricity and propane (rarely, natural gas). As a rule, the electric ones are usually more expensive to operate, but people consider them safer, while propane is less expensive, but requires a more strict observance of safety rules and constant presence of gas cylinders. Fan forced air heaters drive off large volumes of air through the heating elements, and the hot air fills the room rather quickly. Infrared devices are based on the heat radiation principle; they heat the walls, floor, ceiling and objects in the room, which then transfer the heat in the air, rather than directly heating it. Therefore, we recommend positioning these devices not too high and far away from yourself, otherwise you won’t be able to feel the heat. It is room area that matters most when picking a garage heater. A too powerful heater will be inefficient for a small garage and a small portable heater won’t cope with its task in a large shop. 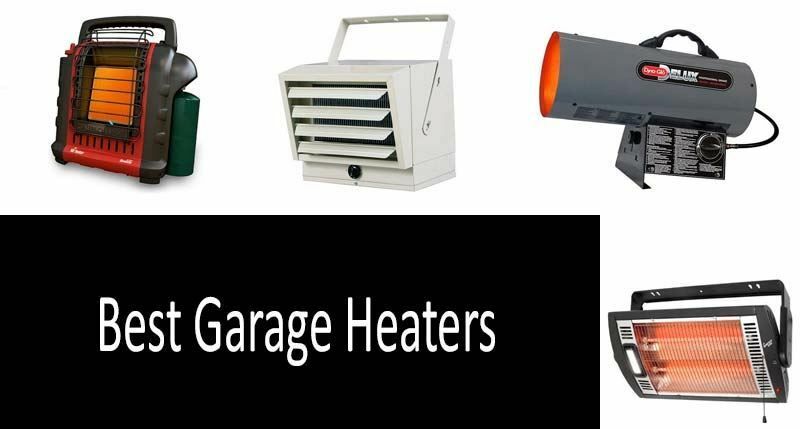 Infrared garage heaters are feasible for small spaces as they are less productive than the forced type of heaters but powerful enough to heat up the space. Moreover, they begin their operation faster. A large garage requires a productive fan forced air heater which is able to maintain an optimal climate for a long time even in the iciest room. The heaters’ thermal output is measured in BTU/hr (Propane models) and Watts (electric models). The higher these numbers are, the more sq ft the device will be able to warm. Once you’ve decided to buy an electric heater, calculate how many watts you need to heat the room: multiply the room area by 8 and round up the result. Let us emphasize that this is an approximate result as much depends on the climate zone, ceiling height, etc. A 1000-1500 W (5000 BTU/hr for propane) heater will do for a small garage while a medium-size one would require heating over 2500 W. Large workshops and garages need far more heat so opt for the devices marked as commercial working at 5000 W (or 17000-18000 BTU/hr and more). This consumer guide lists 5 electric and propane garage heaters available on the market today for different garage sizes. You won’t need to take a wild guess as to what will heat the garage best, you only need to know its area and pick the preferred fuel for the maintenance of the device. In this review you will find 2 propane heater and 3 electric ones. Is your garage equipped with a socket? In this case, you may find the electric models more convenient to use. They are not portable, but they are considered safer. They are advantageous if your electricity bill doesn’t bite or if you use them temporarily, as in "turned it on for a few hours, and then turned it off." This top review covers a small garage heater, an eco ceramic heater and 2 forced air heaters for more impressive areas, they are household and commercial appliances.One is a compact floor heater for domestic use in a large garage or workshop, and the other is a hanging super-strong item that can also be used for commercial purposes. What does this electric heater have to offer? It has a thermostat that can be adjusted from low to high, auto Overheat Cut-Off Protection and a temperature range of 45-95ºF. As you can see, the thermal output range is not very impressive, it is 4800-5600 W, but it will do for large premises. Such an output is an equivalent to about 19 000 BTU/hr. It is stated that DR-988 is suitable for heating garages, warehouses, stores, shops, and even a hospital or church. The heater is able to heat up any residential or industrial plant area up to 600 sq ft. Additionally, you needn’t hang it; you can place it on the floor (preferably on a concrete one). This will especially please those who like to repair their car, lying on the floor underneath it as now they are guaranteed to not freeze. You have to put it a comfortable distance from yourself and your car and then you can work as long as necessary. By the way, it's a little loud (which doesn’t matter in the garage, but keep this fact in mind, if you want to use it in a public place). «I have been using this heater for about a month and a half, average of 2 or 3 times per week. So far, no defects. As far as noise goes, mine does not have any rattles or vibrations. I can see some people not liking the fan noise, indoors, close by. In my opinion, it is really more of a garage or workshop type of heater». «It works great in my large master bedroom. (placed on a brick hearth for safety). Heats the whole room in about 15 minutes. It is not a quiet unit, but the heat output makes up for it». «Dr.infrared heater heats my insulated room (R-19 walls + ceiling, no drywall at the time) from 25° to 55° in 30 minutes. It is 9° outside. But another hour later it will be 65+ depending on how often the door is opened». carrying out thermal treatment of the basement or garage to get rid of pest insects etc. It warms up garages well even in the coldest weather, and is suitable for heating 2 or more car garages. Some buyers use Fahrenheat FUH54 to heat up large basement area of over 500 sq ft. Although the price is more upscale than other heaters’ and similar devices’, it is justified by its industrial use.Read all customer reviewsto make sure it’s true. ✔ Package contains (1) PowerGear by Comfort Zone Ceiling Mounted Dual Quartz Heater. Energy efficient Unit. Two heat settings: 750 and 1500 Watts. Designed for Utility or Garage use. 1500 Watts - 5120 BTUs. 3 Prong Grounded Plug. Heater operates with or without light on. This infrared quartz heater is also aimed at spot heating it in small spaces, such as garages, workshops and barns. It is mounted on a wall or ceiling. All you need is access to a socket and a bit of free space. You can also control heating temperature and set the thermal output you need, be it 760 or 1500 watts, which covers the area of 85-175 sq ft. 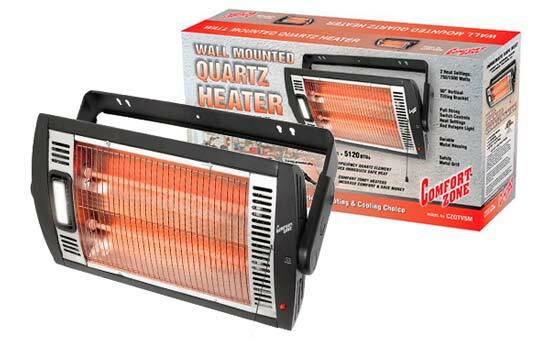 Furthermore, quartz heaters are considered energy efficient. How do you locate it efficiently? The users don’t recommend hanging it too high as it heats the objects in the room, and not the air. The ideal hanging height is therefore about 7 ft. Here’s another fun fact: the lamp is lit all through its operation. Many users would like to have separate heater and light modes to be able to turn off the lamp when necessary. So far, only 3 options are available: turn the light on, turn a heating element on or turn on both of them. Let the user settings issue stay at the manufacturer’s conscience. In the meantime, about 70% of buyers are satisfied with the work of this garage heater. «I have six comfort zone CZQTV5M on my restaurant's outdoor patio and i use them nightly, for 6+ hours, for 9-10 months out of the year. The newest model now has a option to not turn on the light, which is pretty brigth and we don't need. The only reason I've given them four stars is that we've had to replace them over the years, as one of the two bars will stop working. Super easy to replace as we remove the broken one from the bracket, and attach the new one to the same bracket. Takes less than 60 seconds». «I use one half of the garage as a work area. Comfort zone provides enough heat to keep me comfortable in and around the work area. I never expected this unit to heat the garage and didn't purchase it for that purpose. The little light is useless and in my opinion should be removed and the price adjusted». «Comfort zone heats up 1/2 of my car garage enough to wear a t shirt and sweatpants and be comfortable. Each pairing 2 together to heat a garage is cheaper then buying an industrial grade unit». Thiselectric infrared ceramic heater will provide perfect additional heating, not only for small and medium garages, but also for bedrooms or offices. It uses radiant heat that warms various objects in the room which then in turn give off heat. The main advantage of ceramic heaters is that they do not burn oxygen. Ceramic panel is white, but you can repaint it any way you want. This environmentally-friendly and elegant heater does not make noise and consumes little energy. It is equipped with built-in overheating protection. VonHaus heater is supposed to be hung on the wall; it cannot be placed on the floor or hung under the ceiling. It has a single heating mode, the temperature cannot be adjusted, and so many users additionally invest in a thermostat, such as theLux WIN100 Outlet Thermostat. They argue that this device makes the use of this heater even more convenient. When operating, the heater does not give off any unpleasant odors. However, those who have repainted it state that the paint can smell slightly and temporarily when the heater is on. That is why it is recommended to choose paint wisely or leave the device as it is. Read all customer reviewsto learn more helpful tips about using it. King Electric has been in the business of smart comfort heating solutions for more than half a century, meaning the company knows exactly what’s doing. Although some of its products don’t boast of high customers’ praise, they are still pretty much reliable and occupy a solid niche in portable electric heating among its counterparts. The featured product exhibits a rugged solid stainless steel construction and is designed to provide supplemental heat at an affordable price. It has a built-in thermostat, a high-limit temperature control, and can be plugged into a standard NEMA 5-15 120V outlet. The heater moves air by pulling it from the back and discharging it out the front, thus heating the space up. It’s an ideal item for small workspaces and workshops. Unfortunately, though, as previously stated, this particular product was not well received by the consumers, who mainly complained of little heat the item generated. 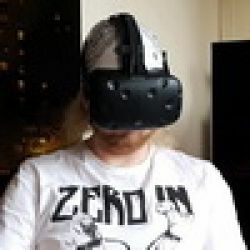 However, there were other testers who suggested the product worked as described for small spaces and wasn’t designed for large garages or warehouses. This is another item sold by King Electric, which received a little more positive feedback. It’s not, however, that much portable and has to be mounted on a wall. It’s not intended for use in bathrooms or other laundry areas with a lot of moisture and humidity. This heater is pretty powerful and heats up a space of up to 100 sq feet. Steep pitch 4 -bladed aluminum impeller fan, which picks out 85 cubics per minute, and NiChrome heating element combined, both deliver instant heat to even the far-off areas in a room. For your peace of mind, there’s also a smart limit high-temperature protection safety shut-off feature. A lot of customers praised the item, saying it was very powerful. The detractors, however, complained of too much noise. Overall, compared to some premium heaters with exorbitant prices, this item is pretty solid and costs less than 100 dollars, which makes it an inexpensive alternative. They can warm even a very large room. We’ve picked 2 most popular models of the wide range of propane powered garage heaters. The first one is a powerful fan forced air heater for a large garage or industrial premiseswhile the second one is asmall garage heating best seller. Thispropane heateris portable, it has a powerful blower, a long hose for connection with a gas cylinder, a tip-over shutoff and back pressure switch as well as a 1-year warranty which makes it perfect for a garage. This model is promised to heat up to 1350 sq ft at the maximum output of 60000 BTU/hr. A standard 20 lb propane tank lasts up to 14 hours. This holds true for only a single trim of the model, others are more powerful. Even the owners of construction sites, agricultural buildings and industrial workspaces will find a suitable option, as there is a 300 000 BTU Dyna Glo product aimed at heating up to 7000 sq ft. However, such a productive gadget will be many times more costly and can be hardly called quiet. Dyna Glo is valued for safety, simplicity and speed. It is noted it is a matter of minutes for it to heat a 2 car garage. It usually takes 10 minutes given the high temperature settings to heat any room, and then you can turn it down to a minimum, or turn off altogether. The item is convenient and reliable. Perhaps, this is just what you need to have in your garage. «I have a poorly insulated 24'x36' garage that's missing the weatherstriping around one of the 2 garage doors. it was 12 degrees outside. inside the garage was 29 degrees. plugged this in with a 20# propane tank and it was almost 60 degrees in about 45 minutes - and that was on the LOW setting». «I have a 3.25 car garage. In 10 min this things makes a big difference and in 20min it is near 70° up from 38-40°. Yes it makes some noise but for the price it works awesome! I am using it with a 20lbs bottle from Lowes and works great. This thing really does the job and for her price I think you cannot ask for more.». «I use this to heat my 24'x24' garage. When the temp is in the mid 20's in there, I fire this thing up on full blast and within 25 minutes, it is 50 degrees in there. It heats the area up quickly, but it does have some fumes with it too, so you have to crack a window for fresh air, which kind of defeats the purpose». 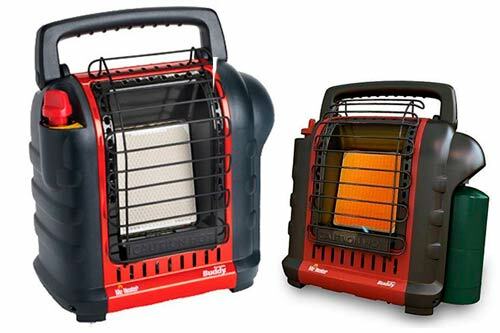 This is one of the 5 Best Sellers in the RV Heaters & Furnacescategory and over 90% of the users of this portable heater were satisfied with it! The manufacturer characterizes this heater as a 4000 to 9000-BTU radiant heater for spaces up to 200 square feet and claims that it can be used both as an outdoor and indoor heater. There is a disclaimer though, as indoor use implies only garages, cabins, not living rooms and as tent heaters! What else do the customers like about it? It is lightweight, mobile, and is a great gift for your beloved husband who likes to spend his evenings in the garage or for your father on Father's day to heat his workshop. Read over 2000 customers’ reviews to learn more. NB! According to the information from University of Alaska Fairbanks up to 25000 fires and 6000 incidents of severe burns or carbon monoxide poisoning are fixed annually. It doesn’t mean that propane heaters are worse or more dangerous. You simply need to know and follow the safety rules. Accidents take place due to the wrong choice and improper operating of propane heaters. They are unvented heaters and during heating they emit combustion products: carbon dioxide, nitrogen dioxide and other gases. For proper operation they need sufficient airspace. When using any propane heater you need to carefully read the manufacturer’s manual and check for automatic shutdown. I have a Mr. Heater F232000 Buddy, and for me it's just a godsend. I use it more often in the garage, I have enough. Also, several times used it in the apartment, but I'm not very comfortable. Hey! I wouldn’t, because infrared heaters warm up walls, ceiling and objects in the room and not air. If you have a high ceiling, the area is larger, and as follows from high school science class, hot air will go up and you will still be cold. As an option, you could install it low enough. All in all, it seems doubtful but you can give it a shot if you want. Please advise whether I should use infrared heater in garage with high ceiling? I won’t be original, I think Mr. Heater Buddy is the best propane garage heater. I bought one for my husband, he loved it. Sometimes we turn it on in the patio as it is quiet and safe (auto shut-off works once there is too little oxygen in the room). It’s too bad it can’t be used indoors. Someone recommended Buddy here, and I’m for heat exploders or forced air heaters. They are safe and powerful and are therefore convenient to use in large places. I bought one for myself and I occasionally take it to work to heat the cold hangar faster. My colleagues are happy that they are no longer cold and would like to also buy a few portable garage heaters. Can I safely trust portable garage heaters? I won’t have a problem refueling propane tanks once I’m convinced they can be safely used in the garage. I don’t know what you mean; any 110 volt garage heater will be suitable for a 120v outlet. I bought my best 120v garage heater three years ago, and it still serves me well. Go for electric ones, they seem to be more durable. Mine isn’t the most powerful one though, but I didn’t heat my garage to a state of desert. A heater will be handy when you spend much time there. I don’t know, I don’t like the bulkiness of electric heater, so I’m all for portable garage heaters like Mr. Heater Buddy. It is also universal (I sometimes use it in my working truck) and safe (it has auto shut-off). It’s hard to give an answer…Maybe you’ll go for a propane one if you have a large area to heat? It will be cheaper to use. I have a small garage, so it was not an issue. I installed an infrared heater in garage last fall; I turn it on occasionally only when it is very cold. It works well enough if not hung too high. What it the best electric garage heater 120v? I’m afraid to use propane ones, I’d rather pay my electricity bills. This is a great article and covers so much information.